predeterminism | Radio vs. the Martians! In our latest episode, exclusive to our Patreon supporters, a trip to a computer museum prompts a mind-breaking discussion about the mechanics of time travel in the Back to the Future movies. When we return to a present that we’ve created by altering the past, are we killing our alternate selves and inserting ourselves into their lives? 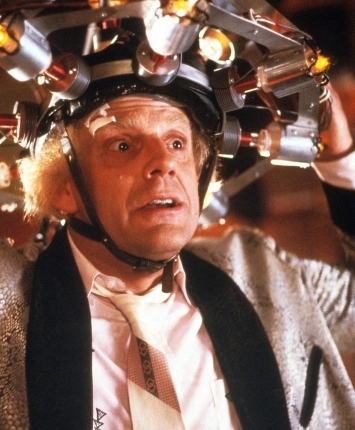 Was the elderly Biff Tannen’s master plan with the sports almanac actually pretty stupid? And is Biff in the new timeline George McFly’s “Reek”? What about how time travel works in Looper, Star Trek, Lost or in Marvel Comics? All this and Mike tries to explain the chronology of the X-Men character Cable to Casey. Deep breaths, everyone! To unlock this episode in its entirety — and many episodes more! — just support us on Patreon with at least one measly dollar a month!